We have a London Cycle Network. But how much of it is actually cycleable? Scrap that, how much of the entire London street network is cycleable? This is something I’ve been thinking about for a while. I’d love to have a map of the whole of London’s street network (plus cycle-only links), highlighting green anything safe for a competent solo twelve-year-old (the design user of the National Cycle Network, apparently). It would graphically highlight where a person can get to – and where they can’t – using only properly quiet streets, decent segregated infrastructure, or permitted park routes. You could compare boroughs using different metrics, and see at a glance the biggest gaps. It could be used alongside the Propensity to Cycle Tool, which highlights cycling potential and key desire lines. I might be in a position to make this happen. 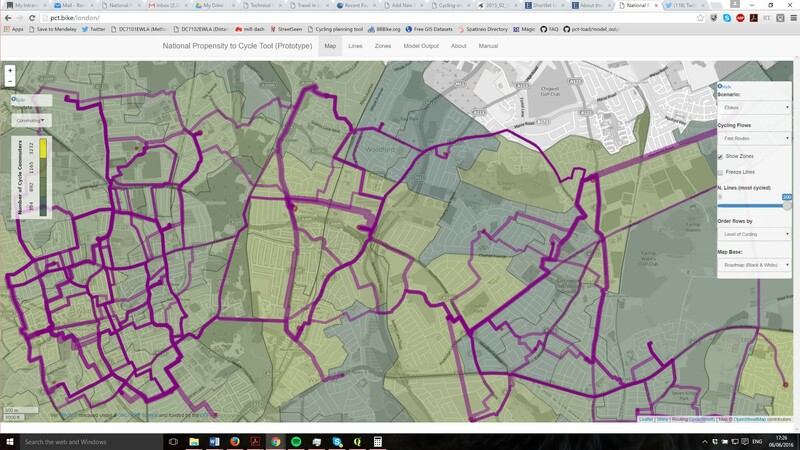 I’ve been shortlisted for an ESRC Outstanding Impact in Public Policy Prize, which would if I won give me £10,000 to use for impact activities – some of which could potentially support this idea of a London Cycleable Network map. (And if not, maybe I can find a little money from other sources). With data from researchers at Imperial College, who’ve been working on modelling motor traffic flow across the road network, plus OpenStreetMap data on off-road routes, I’d be able to create an initial map of where the cycleable routes look to be, and where they’re bisected by major roads. (I’m on a QGIS learning curve at the moment – one of the things I love about research is how you have to keep learning new skills). The idea is then to use some budget to gather together people from all the London boroughs, at one (or more) hackdays, where their – your – local knowledge will be added into the map live. Does a major road have a safe crossing? New cycle infrastructure? Are there newly filtered routes that are safe and comfortable for cycling? We will be able to colour more sections of the map green. Has a road been re-opened to through traffic? Infrastructure been removed? Are the inaccessible barriers? Routes may go from green to red. This will create a part-crowd-sourced map, that’s available online to use or download data. 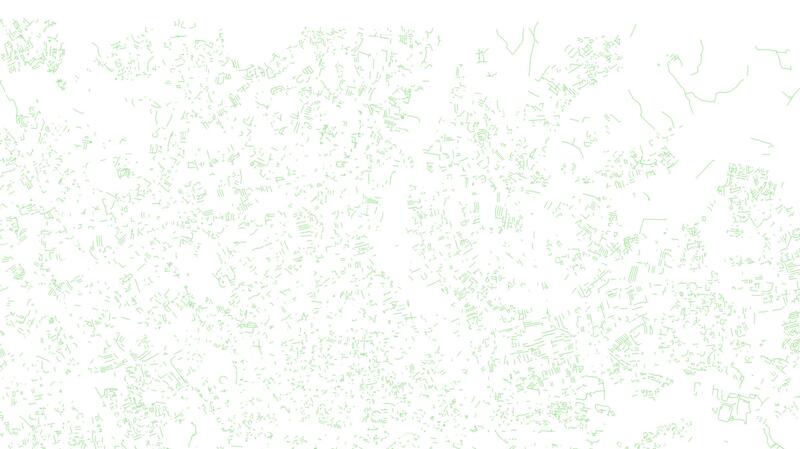 Cyclestreets has a lot of data on cycleability that their routing algorithm uses. Not sure how much comes from OSM and how much is their own (crowdsourced) layer but it could be a good starting point. They also have geotagged images of various bits of infra and pain points. Yes OSM/CS will be useful, I’m thinking especially for adding in off-road routes, but maybe other things too 🙂 But my starting point will be those estimates of motor traffic volume though, as that’s – I believe – so fundamental for cycling (and walking) – and what we haven’t had previously, for the whole network. Networks are only part of problem. Need area wide master planning and mapping – villagisation. This will include defining purposes of streets and implementation over very wide areas of 5 and 8 mph speed limits. Not obvious that 12 year old competent cyclist is correct measure. I recommend disabled trike user, pensioner cyclist. And allegedly quiet routes are often not. Dooring major problem wherever cars parked, and quite commonly, drivers pulling away from parking spots not looking over shoulder signal manoeuvring. I recommend using opposite arm to open car doors. I am not sure why Willam H Whyte methods of observation of all behaviours are not carried out generally to inform the detail required to achieve excellent master planning and mapping. We must understand in detail life between buildings before making proposals and move away from ad hoc fixes. Really interested in this, I’ve been trying to find an opportunity to do something similar on the Isle of Wight. Some parts of our road network are safely cyclable but we have no data available on which ones. Creating this data and mapping it could identify all sorts of opportunities for small extra links, junction improvements etc. that could bring together pieces of existing usable infrastructure. Could also help identify areas that almost meet requirements and could with some tweaks.